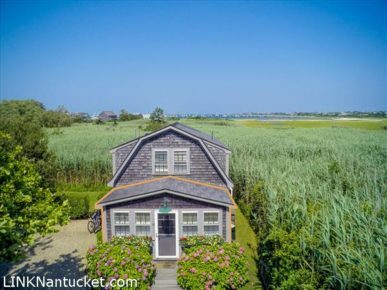 Featured on HGTV, this light-filled condominium is just moments to Town, even closer to Nantucket Harbor and is surrounded on two sides by conservation land. Offered furnished, this is the perfect spot to drop your bags and head to the beach! In the evening, one can meander to Main Street by way of the island’s historic streets and end up dining at a world class restaurant in the heart of Town. A spacious front yard and off-street parking are a bonus. If you’re looking for an in-town pied-a-terre, look no further!